As soon as spring quarter starts, you can immediately tell that it is very different than winter quarter. Campus seems to be filled with twice as many people (and ducks and squirrels), the winter blues are gone, and everyone seems to be in a better mood. This fresh sense of excitement is peaked by all of the events that are happening around campus. But with so much going on, it can be easy to miss out on some of the fun events, so here’s a list of 8 fun things (1 for each week left in the quarter) you simply must do before the start of summer. Week 3 (4/21): PICNIC DAY! Whether you’re living on or off campus, you won’t be able to miss all the picnic day activities. Just a few of the fun events are the parade, the Doxie Derby, the chemistry show, and Davis Dance Revolution. 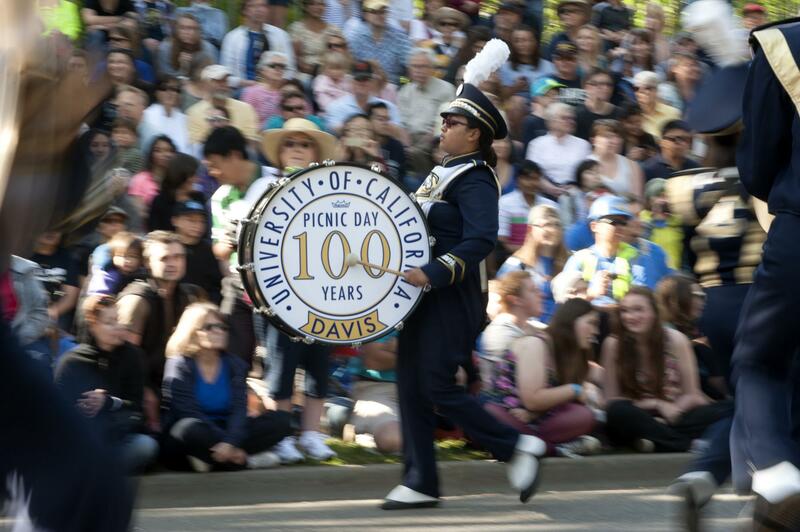 For a comprehensive list of ALL the many things you can do on picnic day, check out this link: https://picnicday.ucdavis.edu/calendar/ On this website, you can also download the picnic day app so you can stay up to date with all the goings-on. This spring, we have three exciting musical artists coming to our very own UC Davis. On April 23rd, alt-J and Borns are coming to Freeborn Hall to perform and on May 7th, Khalid will be stopping by the UC Davis ARC Pavilion on his “The Roxy Tour.” Don’t miss out on the opportunity to see these iconic artists. The Stride for Aggie Pride 5k begins at 9am on Sunday 4/29 at the Memorial Union. It is a great way to improve your physical fitness and it benefits the ASUCD Awards Endowment and We Are Aggie Pride which both aim to support student’s holistic health. Head out to West Davis from 5-9pm on 5/19 for an event completely dedicated to food. (My favorite kind of event.) Admission to the Rodeo is free, but you certainly will spend some money getting amazing food from the 13 different food trucks. There also will be live music and a beer garden (if you are of age). Stop by the Davis Farmer’s Market from 8am-1pm Saturdays or from 4:30pm-sunset Wednesdays. Bring a blanket and you can picnic in the grass while eating some of the market’s delicious foods and listening to the fun live music. As I’m sure most of you know, this is harder than it sounds. 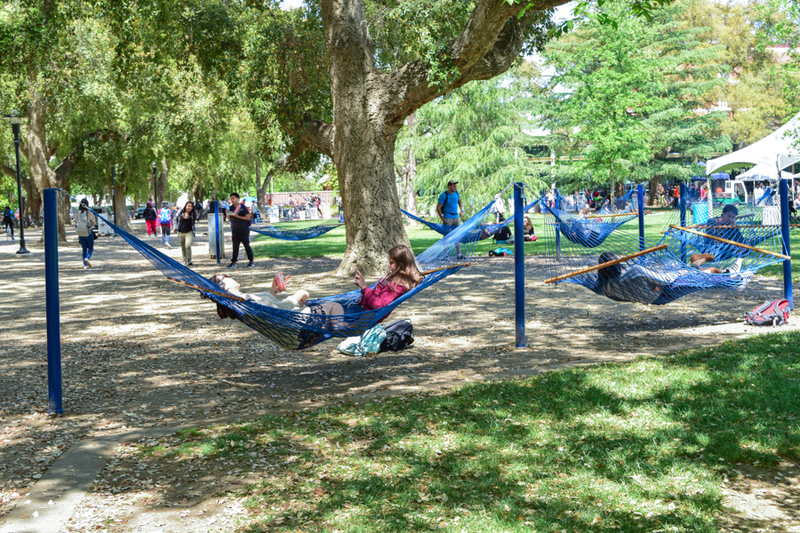 I recommend waiting nearby the hammocks right before peak class times like at 11:50, 12:50, and 1:50 to see if you can swoop in and grab one from a student leaving for class. Once you have secured your hammock, pull out a book or take a nap in the sun and be sure to post your hammock success to your Instagram story. The flowers are blooming, the sun is out, and the green algae covering the water is almost all gone! 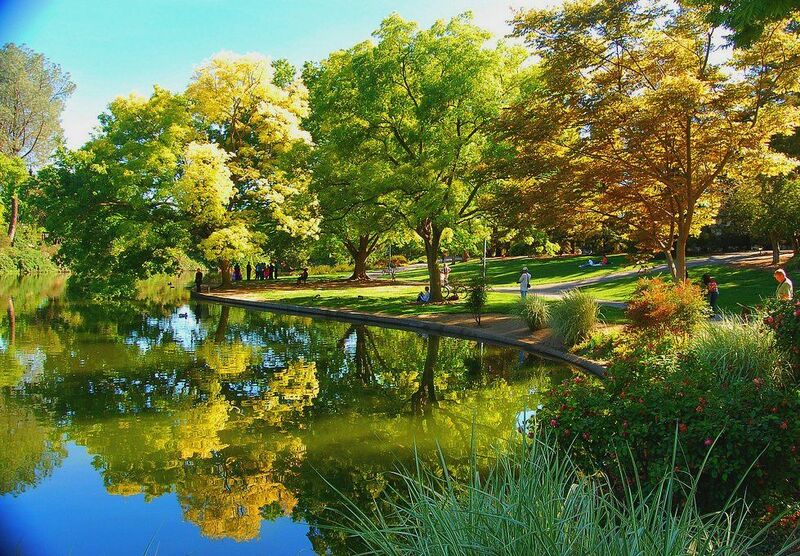 At this point, the finals’ study crunch is in full swing and there’s no better place than the arboretum to take a quick study break. Hope you enjoy this list of spring events and activities!